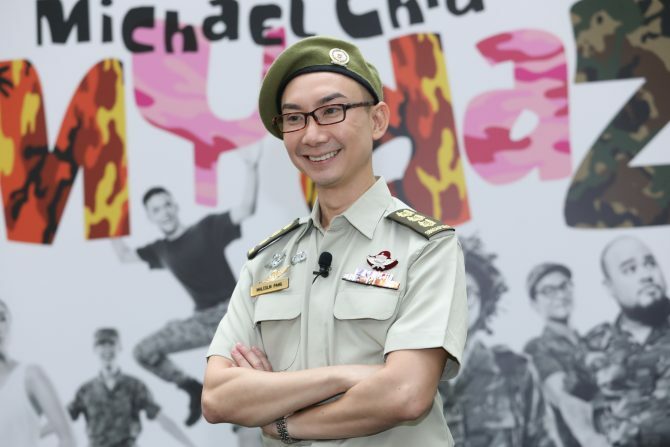 In celebration of Army Daze’s 30th anniversary, playwright Michael Chiang has decided that it was time to bring Malcolm’s story back to life again. 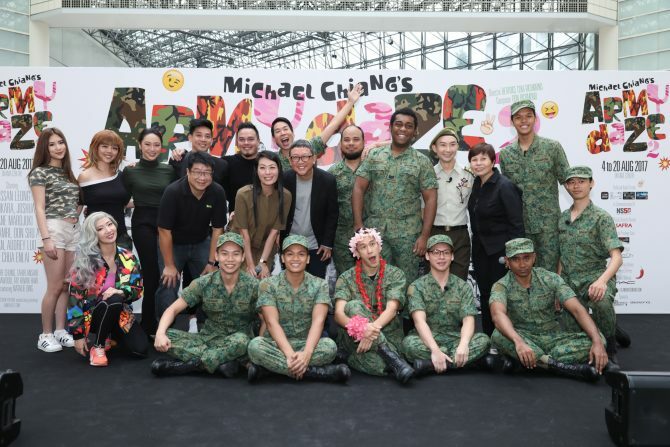 Army Daze 2 picks up 30 years after the events of the first play, with Hossan Leong reprising his role as mommy’s boy, Malcom Png. Even though he was the most sheltered among his army buddies, Malcolm was the only one who signed on and is now the Director of Public Affairs in the army. Through sheer coincidence, he also has a son who will be entering the army. Just like his own mother, he is now overbearingly concerned as he worries about how his son will cope in the army. 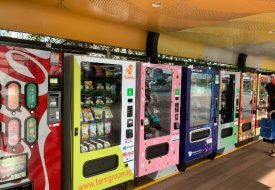 We sat down with Hossan Leong to find out more about Army Daze 2 and how Malcolm has been faring in life. You’ve reprised the Malcolm role a couple of times. How has his character in this sequel evolved? Well, Malcolm is 30 years older. He’s 48, and has a kid going to the army. But deep down, Malcolm is still the insecure mummy’s boy, and is overprotective with his son. His son (bless him) is all like, ‘no dad, stop it’. Are there any similarities between Malcolm and his son? No, his son is pretty much more okay with army than Malcolm was. The son is a millennial, and the new generation is much more street-smart, compared to Malcolm who was so innocent. Are the kids in Army Daze 2 representative of today’s kids? Definitely. They are more media savvy. As the director of public affairs, Malcolm is finding it hard to understand. What made you take up the role as Malcolm? I always like a challenge, but it was not as big of a challenge as compared to when you ask me to do it when i was 18 in my Army Daze, and to play a 48 year old colonel. But it will be interesting portraying Malcolm now that he has grown up a bit. How do you want Malcolm to be remembered? His character always has to be memorable and likable. He is one of those few guys whom you have to laugh along with because he is just so earnest. If he wants it, and he’ll go and get it, even though he’s a little blur. What traits of Malcom can you see in yourself? There is a lot of earnestness in me. When I was playing the 18-year-old Malcolm, that was quite similar to where I was at that point of time. I was always playing the geek, so now; it’ll be interesting to play him now. Did anything interesting happen during rehearsals? During the first week, Andre (who plays my son) came up to me and he’s like ‘I’m 18’, and I was like ‘oh my goodness, 18 is exactly thirty years between us’. Andre could actually be my son. How scary is that? Army Daze 2 will run from 4 to 20 Aug. Tickets available at Sistic.